This week’s power food is Green Bell Pepper! 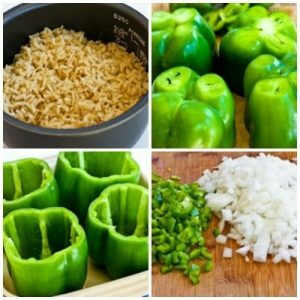 A green pepper is a highly nutritious vegetable. This bell-shaped vegetable with a green, glossy exterior adds a dash of color to any dish. It is also referred to as a bell pepper. It has a tangy taste that enhances food flavor. The inside has a small, white foam-like core with tiny seeds attached to it. This pepper isn’t “hot” due to the absence of capsaicin which gives pepper the characteristic “hot” taste. Aside from the more common green color, bell peppers also come in red, orange, yellow, white and purple. Just about every bell pepper starts out green, and through most of the growth process, it remains largely green. However, if left on the plant long enough, many varieties develop into various shades: black, purple, yellow, orange, and red. Many of the green peppers eaten are just unripe versions of colored ones. Green bell peppers not only add flavor to your meal but plenty of nutrition, too! 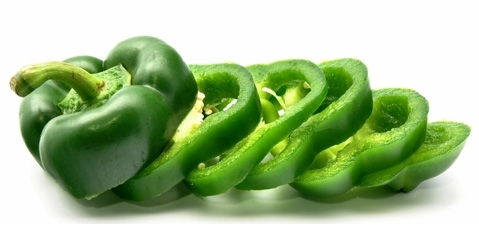 Green peppers come packed with vitamins, including a significant amount of vitamins A and B-6. Vitamin B-6 helps you make red blood cells — the cells tasked with oxygen transport — and also supports healthy nerve communication. Vitamin B6 is important for normal brain development and for keeping the nervous system and immune system healthy. 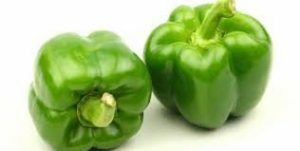 Green Peppers and Vitamin B6 help your body build antibodies which fight off germs and sickness, this is why they have the power of FIGHTER CELLS! 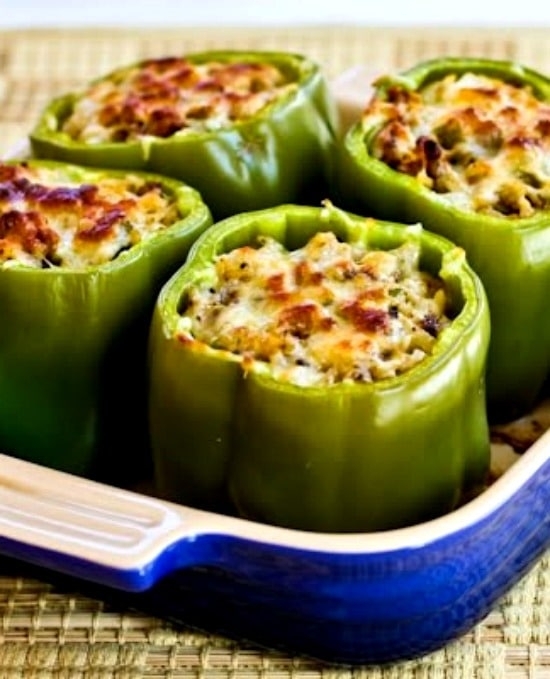 Put a healthy spin on a kid-friendly classic by using green bell peppers as your next dinner! This recipe is from our proud partners at Juice Plus with just 30 minutes to prep and 45 minutes to cook. This delicious dinner is perfect to be a weekly favorite on your table for the whole family to enjoy! Do you or your children struggle to eat the recommended 7-13 servings of fruits, vegetables, and berries every day? Do you struggle to get healthy breakfasts or lunches in your families bodies? Well, we now have a solution for you. We have partnered with Juice Plus+, a whole food supplement, that is packed full of 25 different fruits, vegetables, and berries in a convenient soft chew or capsule. Recommended by thousands of physicians, including Dr. William Sears and also backed by 38 Peer Reviewed, Medical Journaled Clinical Studies Juice Plus+ is efficacious and bioavailable. Juice Plus+ helps build strong immune systems, establishes better food cravings, improves cardiovascular wellness and truly makes a difference in the bodies overall health. For more information on its many benefits check out the website: www.amazingathletes.juiceplus.com. Place green bell peppers in a medium saucepan with enough water to cover. Bring to a boil and cook for 10 minutes. Remove peppers from the water and set aside in a 9×13 inch baking dish. In a large saucepan over medium heat, brown the ground beef; drain. 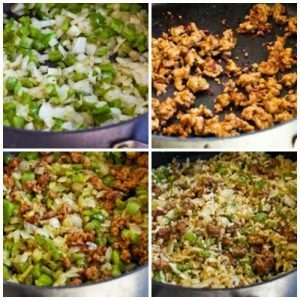 Return to heat and mix in onion, cooked rice, garlic powder, salt, and pepper. Pour in tomato sauce and mix thoroughly. Let simmer for about 10 minutes. Remove from heat. 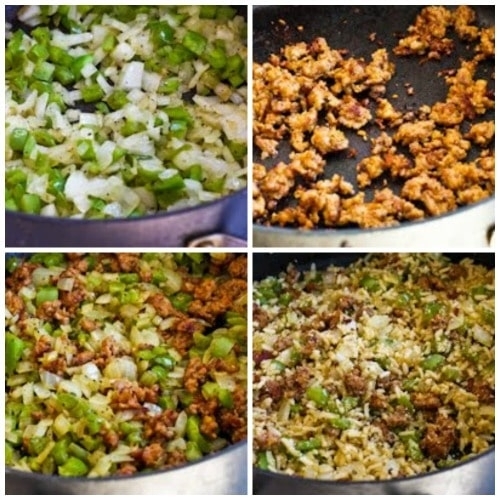 Spoon the meat mixture onto each half of the green peppers. Bake in the preheated oven for 45 minutes or until mixture begins to turn golden brown. 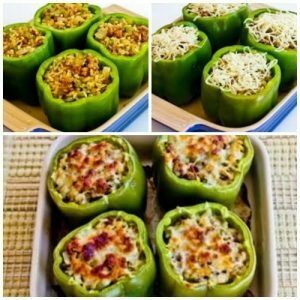 Sprinkle mozzarella cheese over the top of each stuffed pepper. Return to the oven and bake until cheese is lightly browned about 5 to 10 minutes. Let us know how your #recipe turns out by tagging us on Instagram @AmazingAthletes. We can’t wait to see our #AmazingAthletes put their #powerfood to work! Want more cool ideas? Check out our Pinterest boards for all kinds of fun with fitness, food, and more! This blog was brought to you by Juice Plus+. Juice Plus+® is the next best thing to eating fruits and vegetables. Of course, there is no substitute for eating a wide variety of fruits and vegetables. But because most people simply can’t, don’t, or won’t, Juice Plus+® helps fill that gap.